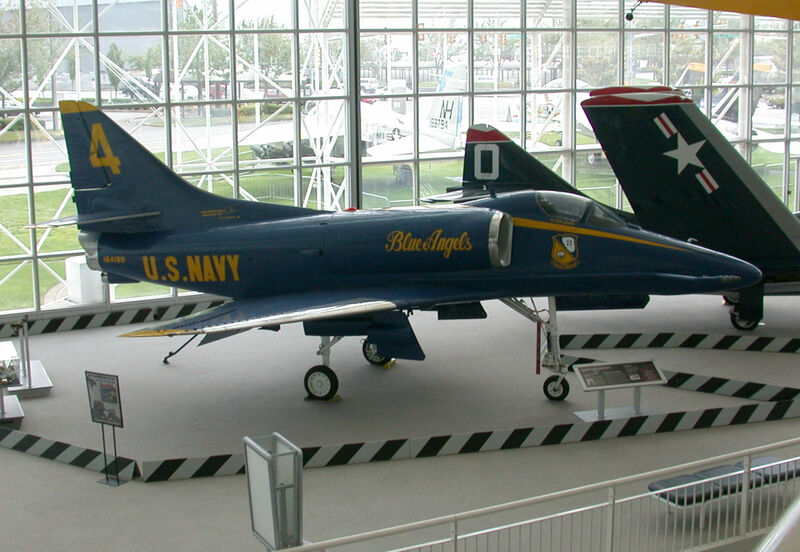 I was at the Museum of Flight in Seattle, WA, yesterday, and came across a Blue Angel aircraft, pictured below. Along the right front of the plane, there is a small tube that is capped with a silver cap. I thought at first that this might be a refuelling point, but (A) I didn't see any real purpose to have mid-air refuelling on a Blue Angel, and (B) it doesn't seem like a great place to refuel (since it seems like it could easily obstruct the pilot's view). 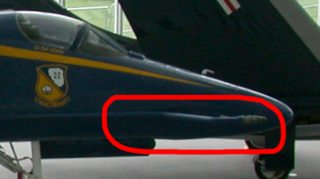 What is this tube at the front of the jet, and what is it used for? 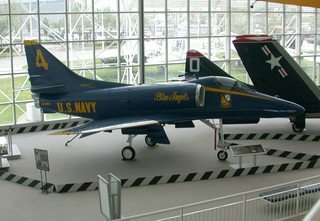 Why does it only appear on some makes of the jet? 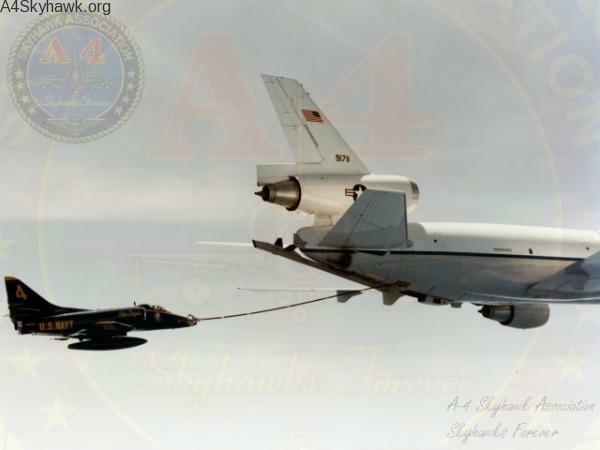 The aircraft is the A4 Skyhawk and the probe is for air-to-air refueling. As you can see, it doesn't really impede the pilot's view which in any case, is concentrated on the refueller. 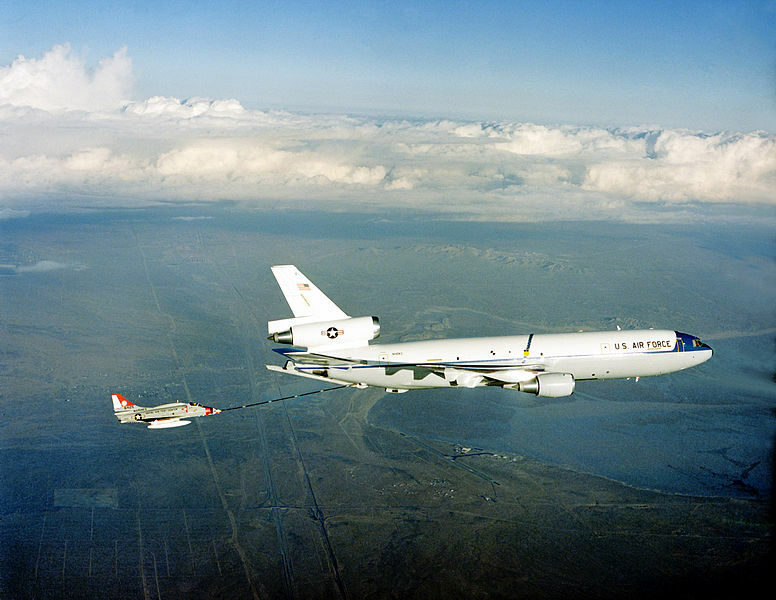 You can always spot a refuelling probe. For NATO aircraft, and most others, they always have the same tip and are the only appendages which look like this. 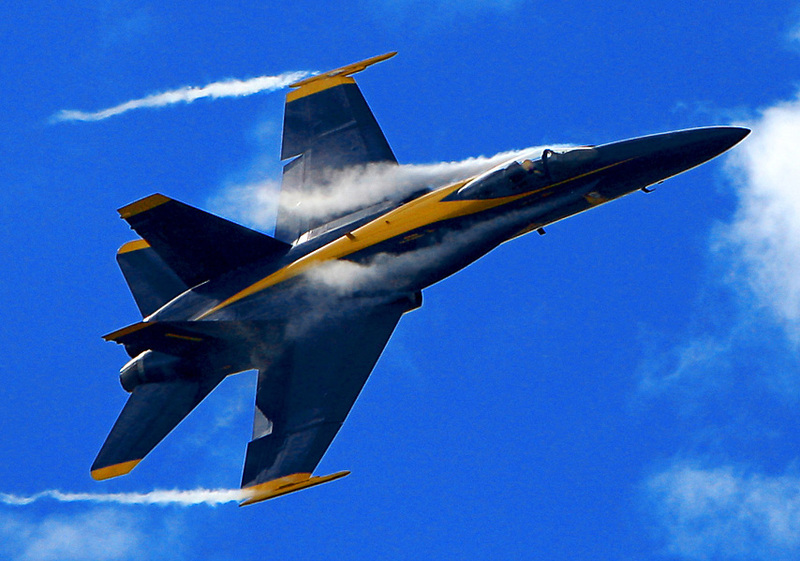 The Blue Angels used it since transits to various air shows exceeded the range and air-air refuelling is cheaper and more effective than landing, refuelling and taking off again. How does the Eurocopter Blue Edge and Blue Pulse rotor blade design work? Why do some 2 seat fighters have side by side seating, while others have the pilots inline with each other? Why does this B-52 carry a payload only on its right wing? What is this string on the 737? Why does the spanwise flow along a swept wing not accelerate? KC-130: What are the four tanks/tube on the wings in between the engines used for?